Would you like one company to provide you with a bathroom design, installation and other aspects including plumbing and heating? 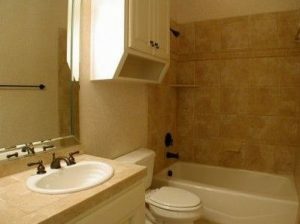 Here at BST Plumbing Services we provide a variety of services that will cover all areas of your bathroom design and installation. When you decide to refurbish your bathroom, our experts can help you to find the best possible look. When a homeowner decides to invest in a refurbishment of a room, they tend to spend hours searching for the perfect design and a company that will provide all aspects of the installation. At BST Plumbing Services we are qualified in all areas of installations and we work closely with our customers to meet their specification. With all installations and other services, BST Plumbing Services complies with the Building Act 1984. How can our bathrooms benefit you? It can be difficult to find the bathroom that you desire. At BST Plumbing Services we have the skills that you need to receive a bathroom personalised to your tastes and requirements. We understand that the bathroom is one of the most used rooms within a property, so it should have that special quality to make it pleasurable, after all, we all need a little quality time to ourselves once in a while. More homeowners are realising the effects of tiling. As they are easy to clean, tiles can save time when it comes to cleaning. The condensation after a bath or shower can be wiped off tiles or left, without causing any damage to the surface underneath. With patterns and stunning colours, creating a unique design is easy. Tiling can match a theme or be the beginning of a new one, and they easily co-ordinate with many bathroom sets. Looking to do something to help our environment? Shower rooms have become increasingly popular over the past few years; it’s estimated that 1.3 million new shower rooms are installed every year. The benefits are that less water is used when showering; they are quick, cleaner and refreshing. As you are not sitting in the same water for a few minutes, the body is cleaner when showering, and the use of a shower reduces the time spent washing. Showers are the more efficient and money saving alternative to a bath. At BST Plumbing Services we can fit a shower room that suits you. It’s not always easy to find a bathroom with all of your requirements. At BST Plumbing Services we provide designs for anyone suffering from illness, disability or mobility issues. Accessories such as shower seats, easy access baths, non-slip flooring, grab rails, low or high level toilets and more. It can be hard for someone with a restriction; we are here for everyone. We understand that some customers have felt let down by companies. Our promise is that we will go the extra mile to ensure that our customers’ in Romsey are designed for their needs, with ease of access. 20 years of experience has allowed the services at BST Plumbing Services to develop and find missing aspects in the market. Unlike many companies, we offer a fully comprehensive service. Included in our Romsey bathrooms package is the design and installation of the new bathroom, with all areas covered. 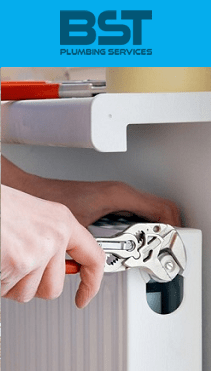 For all of your needs, we can help with plumbing, electrics and more. When you need high quality bathrooms Romsey, call BST Plumbing Services today on 0238 045 3112 or send us an email at info@bst-bathrooms.co.uk.